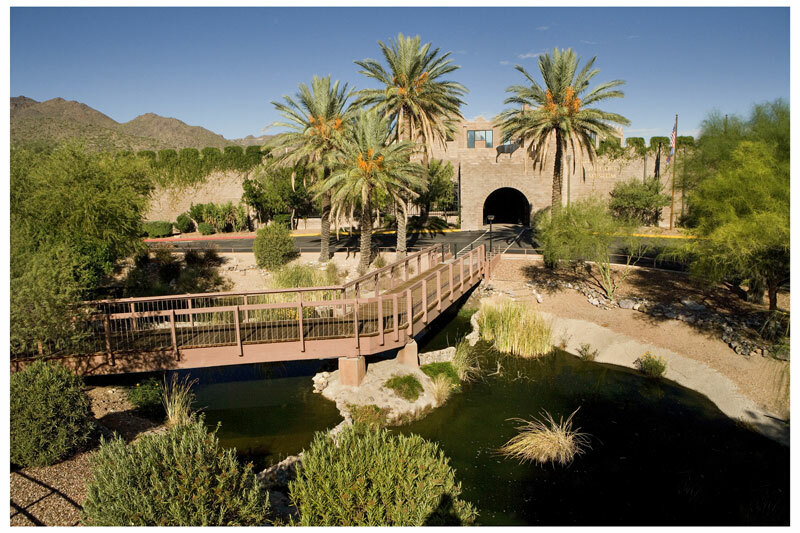 Tucson Happenings would like to thank the International Wildlife Museum for their support! 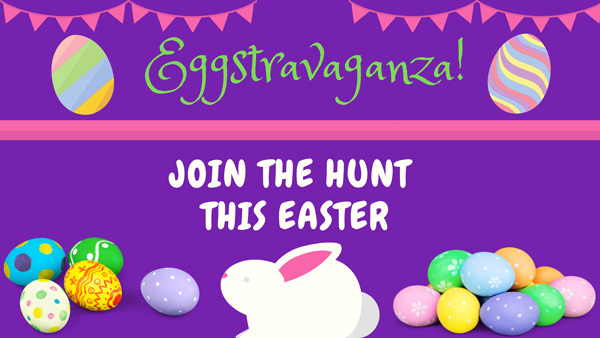 Join us for Easter and Spring crafts, games and fun! The Easter bunny will be visiting from 10-11am. Candy hunt is at 11am. Bring your cameras and your Easter basket! Event is included with regular museum admission - $10/adult; $7/senior or military; $5/child ages 4-12; ages 3 & under are free. Also, we have the second largest puzzle in the world on display now! “Wildlife” was designed and illustrated by Adrian Chesterman and published by Educa Borras in Barcelona, Spain. The puzzle took 8 months to assemble and was done by Joseph Treschel. He is currently working on “Around the World”, the world’s largest puzzle at 42,000 pieces which will be donated to the International Wildlife Museum when he’s finished later this year. “Wildlife” is 33,600 pieces and measures 19 feet long by 6.5 feet tall. It features dozens of species from rainforests and savannahs. 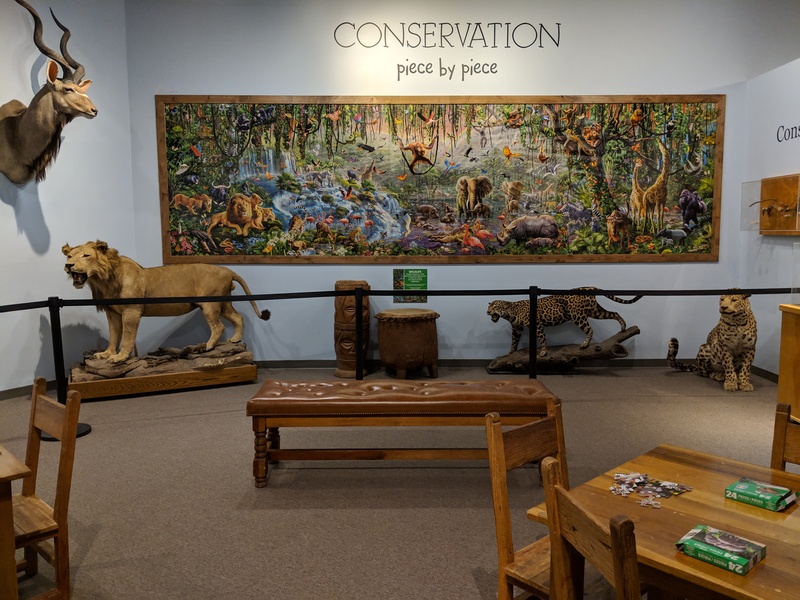 Join the Project Go Wild movement at the International Wildlife Museum, a fun, hands on program that gives kids and adults the opportunity to learn about conservation, animals from around the world and their habitats. Dioramas depicting wild animals in their natural settings, videos, interactive computers, and hands-on exhibits promote wildlife appreciation and conservation. Your visit is an excellent opportunity to see animals up close and gain a better understanding of conservation, habitats and adaptations.. The International Wildlife Museum also includes beautiful and unique wildlife artwork and changing exhibits, along with a theatre that screens wildlife films hourly. Founded in 1988, the museum highlights over 400 species of insects, mammals and birds from around the globe. Its diverse collections have been donated by various government agencies, wildlife rehabilitation centers, captive breeding programs, zoos and individuals. Some of the collections are more than 100 years old. The museum offers a yearly membership program. The membership includes free admission to the museum, a 10% discount in the museum gift shop, email notification of special events, free admission to special events, free admission to member only events, discounts on museum youth programs, free admission to over 250 participating ASTC museum and science centers, and a guest admission discount. The International Wildlife Museum is an educational program of the Safari Club International Foundation (SCIF). The foundation is a 501(c)(3) charitable organization that funds and manages worldwide programs dedicated to wildlife conservation, outdoor education and humanitarian services. From jungle to tundra, just minutes from Tucson. The International Wildlife Museum is located in the western foothills of Tucson, just five minutes west of Interstate 10 on Speedway Blvd.